Once again, Dr. Hanna will be selling Coupon Books for $25 each. The funds raised will go towards gym equipment, furniture, crafting supplies, etc. If you would like additional books, please contact the office. Thank you for your support with this fundraiser! Our grade 7/8's will be selling Menchie's Frozen Yogurt on April 3rd and 4th for $3.00 each to supplement the cost of their Outdoor Ed camping trip. Our fantastic HSCC is hosting a Spring Dance in the gym on Thursday, March 21st from 6-8pm. 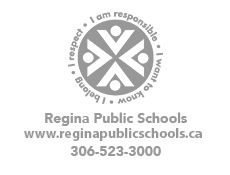 Please call the school (306)791-8594 to register your child for the 2019-2020 school year! HSCC Meeting - March 13th! Join us for our HSCC meeting on Wednesday, March 13th at 7pm (at the school). Babysitting service is available for those bringing little ones! We are always welcoming new members! Read more about HSCC Meeting - March 13th!